How will Ramona torture this lady? Ladies like to be paid. There's been a lot of strife getting Season 6 of The Real Housewives of New York City going (The Wrap has story with some good dirt about the insanity here). The problems have been over money, of course. As of now, the Countess LuAnn de Lesseps still has not signed on, but earlier this week, Bravo announced that Ramona Singer, Sonja Morgan, Carole Radziwill, and Heather Thomson have. And there's some confusion over Aviva Drescher's status: Radar Online is reporting she's signed on, and she tweeted as much. But Bravo couldn't actually confirm that! These ladies. Lost in this mess is the fact that there will also be at least one new cast member: Kristen Taekman. Her name was first reported by The New York Post, and a source close to the production has confirmed it to me. Bravo, however, would not (they never do with casting). The show is starting to film now; I am guessing — like, truly — there would be a fall premiere. Or some other season. So who is this Kristen Taekman that RHONY fans will be seeing at her absolute worst? And then judging? This is Kristen Taekman with her husband, Josh. And is from Farmington, CT.
Maybe it was through modeling that Kristen met Brandi Glanville? Here she is with one of her kids: There seem to be two of them, a boy and a girl. Normally, I would not post a picture of someone's child. But Kristen had a website for her business of selling (nice looking!) boxes for greeting cards, and this photograph is from the site. The business seemingly no longer exists. 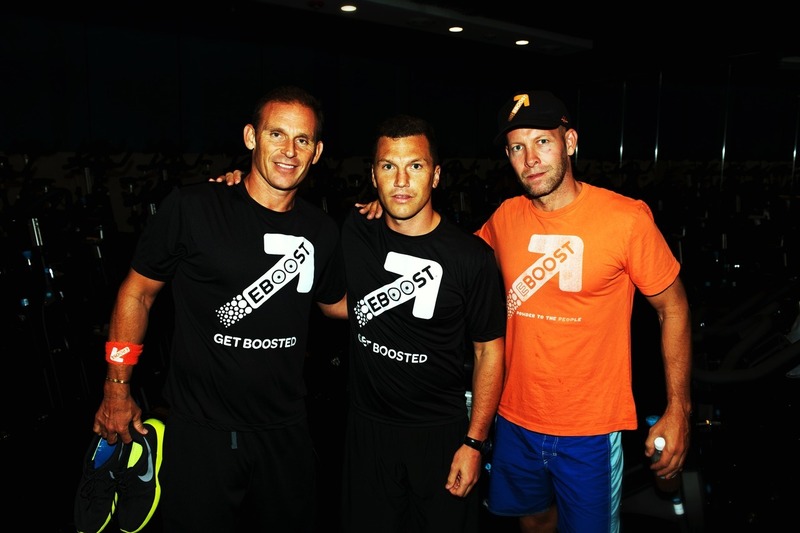 Her husband, Josh, is the founder of Eboost, the energy supplement. That's Josh on the left. On Kristen's Amazon account, she seems to boost Eboost. Josh used to be the VP of marketing for Diddy's Bad Boy Entertainment. From 1996 to 2000, according to his Linkedin page. Diddy was still Puffy then. Kristen seems to be obsessed with Elvis. Her comment on this Facebook upload was: "Best bday gift ever!" In another upload of a picture of Justin Bieber, she wrote: "Justin is a young Elvis!!! Anyone else see it? I have found a new obsession!!! The best part is he is alive!" ... What will Ramona do to torture Kristen?